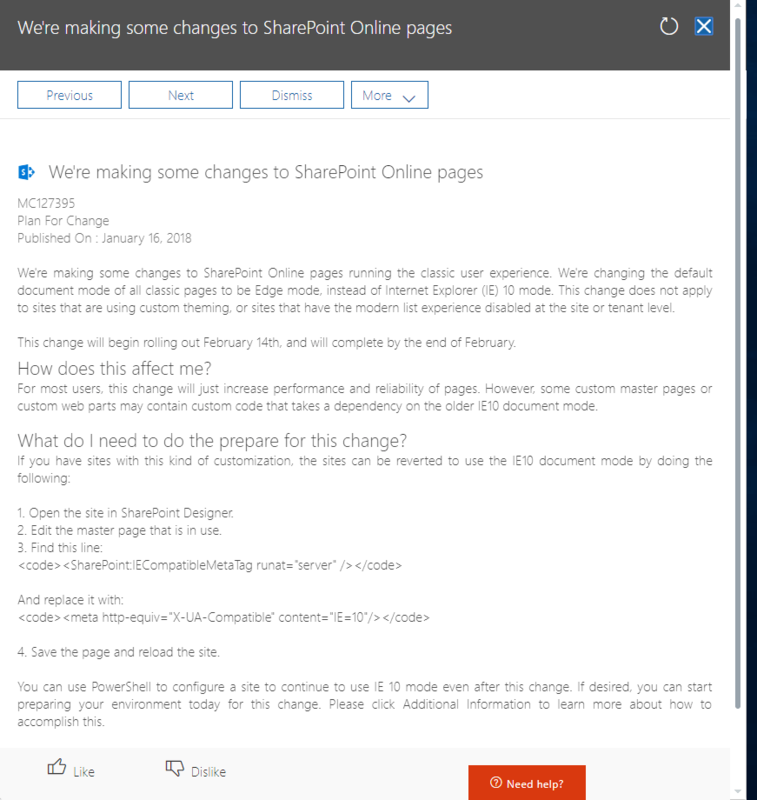 Starting February 14th, 2018 – Microsoft will push an update to a tiny, but very important, piece of code in all your master pages. They will be changing the default document model from Internet Explorer 10 mode to IE Edge mode. This change will be completely rolled out by the end of February. Some custom web part, master pages, or 3rd parties might rely on the document model as IE=10 compatible. If you know you have a custom masterpage and want to continue running in IE=10 compatible mode then you must make the change manually.